The unique element of outdoor that the sunrooms’ touch brings to your home is one of the best investment you can do for your house. Whether you decide to have a sunroom for your personal home or your rental property, the addition of these bright spaces to the comfort of the indoors is simply brilliant. There are several types of sunrooms that you may want to consider and weigh down according to your needs and your lifestyle. The main defining characteristic of solarium is the emphasis on getting the area covered with as much sunlight as possible. The materials of the room are made of chiefly transparent materials. This is often defined by clear, transparent ceilings. This allows you to see the outdoors in all its glory with the least obstructions. Sometimes the use of the term “solarium” in home constructions overlaps with the term conservatory. Solariums are able to be used during all of the four seasons. This is why it’s important for solariums to be built by suitable materials and constructions that allow for sufficient insulation. The screen room is the type of sunroom that lets you closest to the outdoor compared to other types of sunrooms. What some developers refer to as the screened room sometimes may simply be a porch that has been modified by adding window screens. Screened rooms with a Southwestern decor or furniture may be called Arizona room. But the name is nonetheless, sometimes synonymous to other names sunroom has such as Florida room. A four-season sunroom emphasis on the use of insulation sufficient to protect the indoor from the harsh climate. 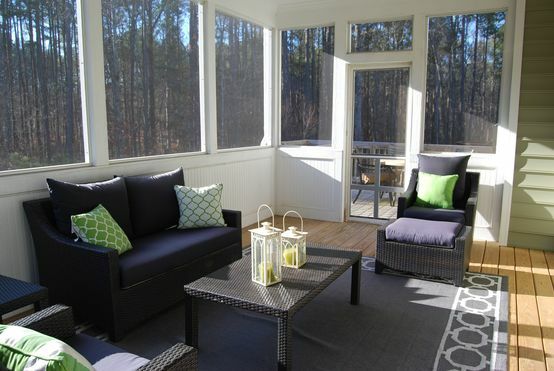 This type of sunroom is also known as the all-season sunroom. This type of sunroom is robust and is designed to withstand all types of climate. All you need to do is plan the sunroom according to your lifestyle. The construction of a three-season sunroom does not cost as much as what would cost the all-season sunroom. If the budget is one of your utmost concerns but a sunroom is what you truly wanted, then this is a great option for you. A three-season sunroom is also a great option for those living in the warmer climate. The cold would not be a hindrance for you and you’ll likely be able to enjoy your home’s sunroom all year long. As the name suggests, gable sunrooms use the gabled roof. This type of sunroom commonly blends in well with most house styles. The gable sunroom can feel like a dedicated space of its own. Alternatively, because of its solid, overall shape of the space, some gable sunrooms are built separately from the main house building. Alternatively, the gabled roof can use a few glass panels to allow more light to penetrate the inside. This is one of the best ways of customising the gable sunroom as you’ll be able to glimpse at the sky; day, night, or dawn. This entry was posted in Home & Interior on April 5, 2019 by Selena Ingrid.